The reservation time to the first practical test is an average of 10 to 12 weeks, the reservation time for a re-examination is on average 5 to 7 weeks. 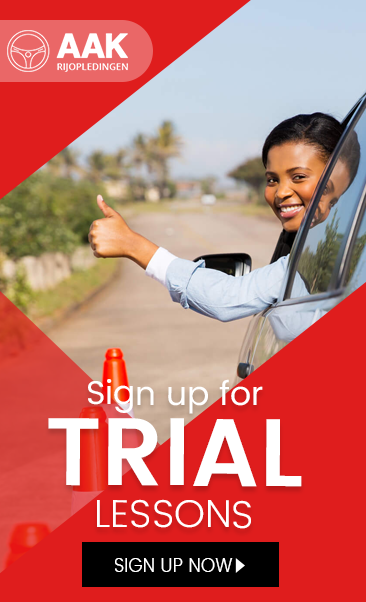 The driving school can only apply for a practical for you if you have given permission. Do so at your time, right at the beginning of your driving course. You do that with a DigiD authorization. Without this authorization is not possible to book the practical! In consultation with your instructor or employee of the driving school, you yourself determine your ideal time to ride off. The advantage is that the lessons program and the exam date can be well matched. To take into account the days when you cannot do a driving test, for example through work, school exams or holidays. The reservation time to the first practical test is an average of 10 to 12 weeks, the reservation time for a re-examination is on average 5 to 7 weeks. Keep that in mind when you're booking a driving test! Applications through the driving school: what do you need for a practical application to the DMV? The practical test for the passenger takes 55 minutes. Divided meet in 15 minutes and about 40 minutes drive. In the test center you first meet the examiner.. Then the documents brought will be checked. Then you can walk towards the car and then at the same time the examiner can test the eyes. After this, the examiner will ask you to perform a number of preparatory and monitoring activities on or in the car. Then the ride which is divided into a section starts and independent part on evidence plus the special maneuvers. The examiner / -trice note include your control of the vehicle, viewing habits, priority and consideration to other road users. He judges you by seven tests. These can be found on the self-reflection form. You get to have every opportunity during the test to see what you can. It does not expect total faultless, it will be the overall picture. Important is how you respond to other traffic and if you master the situation. In short, the examiner look at whether you have enough skills to participate in the traffic safely and independently. Immediately after the exam the examiner will give you the result at the examination center. Then the examiner will discuss the form with your Driving instructor. The renewed practical was introduced on January 1, 2008 and is intended to bring down the accident rate among novice drivers down. New license holders have a much greater risk of an accident than experienced drivers. The new driving test was commissioned by the Ministry of Transport developed by the CBR to the general road safety and safe driving behavior of novice drivers to improve in particular. In recent years, specific measures have already been taken for the novice driver, such as the introduction of a beginner's license and stricter alcohol limits. From 2010 accompanied driving is expected to be possible. Since 2008, aspiring motorists are explicitly trained and tested in independent driving hazards and environmentally conscious driving. Also, prospective license holders think more about their own improvement in traffic. They are more aware of the risks. These elements have led to new tests. These will be explained below. In this approach focuses on the responsibility of the oncoming driver. The updated exam has been developed in close collaboration with researchers, the driving school industry and traffic organizations. The cost of the theory and practice are not increased. A candidate runs some of the exam routes without instructions from the examiner. The 'independent driving route "can be performed in three ways: by March 1, 2009: a landmark ride that is not fixed in advance, but that the candidate knows, or can see. multiple route commands simultaneously (cluster assignment), combined with the blue ANWB signs] and by using a navigation system: The examiner determines in which of the above three ways the candidate's 'independent driving' to be performed. If there is no navigation system is present in the exam vehicle, the choice will be limited to other two options. The independent driving will take at least ten to fifteen minutes in the exam. The total examination time remains the same. To achieve the correct end point is not an end in itself. The point is that you drive safely and make responsible choices. A landmark is not certain. It is a place that is known by the candidate well, such as a school, a sports club, or shopping. If you are unfamiliar in the examination area, the examiner may ask you to go to a visible point ride in that place, such as a church or a building. The exam can start driving to a landmark, but can also be closed with. You will be asked to ride from the landmark back to the exam site. The cluster command relates to a portion of the route. This command is always very long and will be repeated one or more times to check whether you have understood. It mimics the situation in which the driver asking for directions to a passerby and then gets explained how to get to the requested location. The set of route instructions will consist of at least from three to five commands. From March 1, 2009 onwards the cluster assignment can be completed with the mission to follow the blue road signs to a particular destination. Driving with a navigation device is only required if it is known that the driving school has one.Fortunately if you use a navigation system them it will already be a practice from you for the future.. Driving with a navigation system can be applied for the examination, in principle, at any time. It also appears to be a solution for foreign candidates, mostly because navigation can be set in different languages. . The new driving test has three special maneuvers: a reverse order, a parking command and a stop command. During the driving test you will perform in most cases two special maneuvers. Reversing Assignment : In the reverse assignment you will have to drive the car backwards inorder to turn or take a different route or for other reason. This maneuver will test if you can adequately test the traffic situation on the road. Parking Mission : The examiner can also opt for a parking command in a street or a parking lot. Here you get the task to park the car as close as possibel to a specified location. For example, this may be the entrance of a shopping mall. Again, you decide how to perform the parking mission. Stop command : Further, a stop command possible. You'll have to stop behind another vehicle as short as possible to participate in the traffic then driving forward again. This can either be at the left or right side of the roadway. It is important that you have a correct estimate of the length of the nose of the car. Of these three, the examiner chooses two. In addition, the examiner may carry out spot checks on the ramp test. In carrying out special maneuvers not only the technical aspect is important. It is especially considering the choices that precede it, such as the place, the time and the way you run the command. In this new section you'll be asked after the execution of a traffic situation why you have done it that way. What or how you have solved the situation and what considerations did you make this? There is no correct or wrong answer to this. It is more the way you keep it simple and safe both for you and also to the traffic on the road. For the exam you have to fill in a questionnaire, for example, at home or during lessons. That list you give at the beginning of the examination to the examiner. The examiner looks at the answers after the test results and discuss with you the answers. It is important here that you have a realistic view of your own abilities and limitations as a driver. Self-reflection is intended to influence the behavior of prospective license holders in a positive way. It is not a skill and therefore not included in the assessment. For the environment and for your own wallet it is important that you drive environmentally friendly cars, so driving on the principles of the New World. Environmentally conscious behavior is evaluated in the new driving test as a separate item. Its main focus is to anticipatory driving behavior, such as driving at a constant speed and the maximum use of the rolling capacity of the car. This not only contributes to reduction in the fuel consumption, it also has a positive influence on safe driving. On this subject is also given special attention in the new theory test. It is the first time that the practical contains an element not being a consideration in the final assessment. That's because although it is a very important element for the safety and the candidate's awareness it is very difficult to measure objectively in an exam. The candidate is deceased before the exam date. This scheme is applicable only to the candidate named in registered examinations and tests, which are covered by the above-mentioned reasons from 1 to 3. For reason 4 there is a different procedure for handling the request for a refund. Please refer to what is stated under the exception 4. To qualify for a refund, the applicant shall through the driving school and within 14 calendar days after the exam date submit a request. The driving school can download the refund form (Request for refund rate) from internet. In case of reason 4, the applicant has to send the completely filled and signed refund form with the requested evidence within 14 calendar days to: CBR division Driving Attn planning PO Box 4046 6803 EA ARNHEM. CBR will made directly refund the amount to current account of the driving school that has requested and paid for the candidate’s exam. Only if the driving school is not enrolled with CBR then CBR will refund the applicant directly via bank account. Fees are deducted from the refund amount.